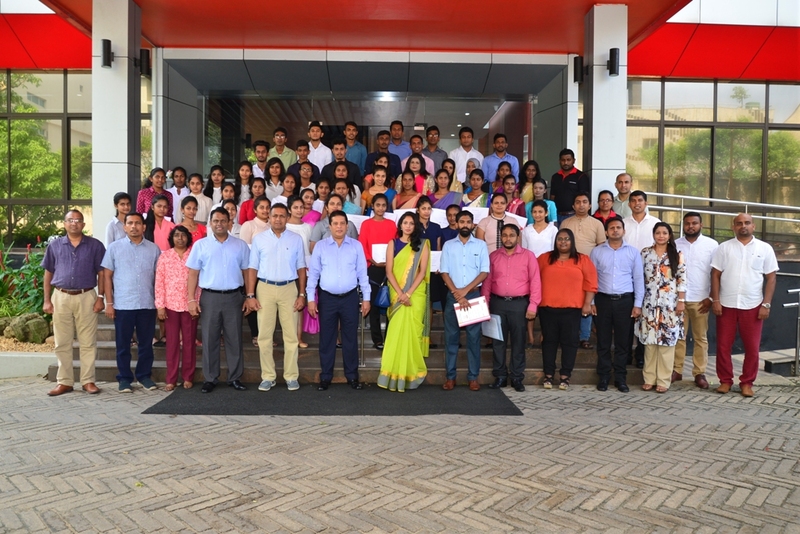 Strengthening its Strategic CSR pillar of Education, DFCC Bank recently organised a graduation ceremony for its second batch of students who participated in its English Education CSR programme, ‘Samata English’. Held at the DFCC Bank Auditorium, the occasion was graced by senior management of DFCC Bank, graduating students and proud parents. A total of 52 students graduated on this occasion receiving a certificate from the awarding bodies. The Spoken English course was carried out at DFCC’s Galle, Kandy and Kurunegala branches from April to August 2018 for students between the ages of 18 and 22. The Bank partnered with the Gateway Language Centre and 96 students were selected to enrol for the course upon completion of an initial assessment. The course was held over a period of three months and at the final examination, a total of 87 students scored a First Class out of 96, which reflects how much the course has helped to improve their spoken English skills. The final assessment was conducted by Gateway where they also received a CALSDA Certification. A CSR initiative by DFCC Bank, the Samata English programme was designed to teach Spoken English to students, enabling them to enter into the workforce on a strong and confident footing. The course consists of practical activities, presentations, skills development and free tutorials in classrooms with modern facilities. The initiative commenced in 2017 with programmes being held in the Kalutara and Gampaha districts. The top achievers of the programme will receive an opportunity to join the Bank as interns which will create opportunities for them to apply their education, gain work experience and develop their skills. DFCC Bank was recently recognised as one of the Top 10 Most Admired Companies in Sri Lanka by the Chartered Institute of Management Accountants (CIMA) and the International Chamber of Commerce Sri Lanka (ICCSL). It is rated AA-(lka) by Fitch Ratings Lanka Limited.